Experience the exquisite flavor of full-leaf tea without the fuss. 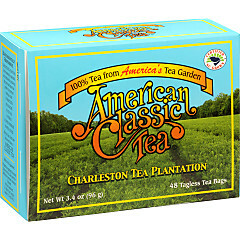 American Classic teas are grown on the Charleston Tea Plantation and masterfully blended as only Bigelow can do. 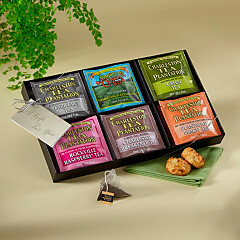 Pyramid sachets allow the leaves to unfurl for full flavor extraction. With our specially priced assortment you pay for 5 boxes and get the 6th box FREE. 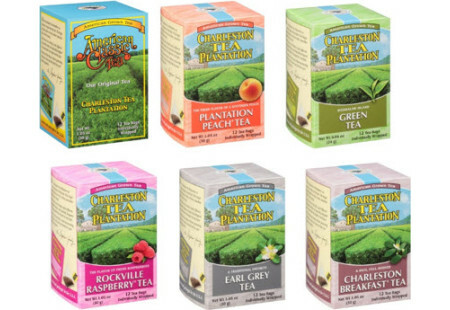 The sampler case includes 1 box each of American Classic, Rockville Raspberry, Governor Gray, Plantation Peach, Island Green, and Charleston Breakfast.